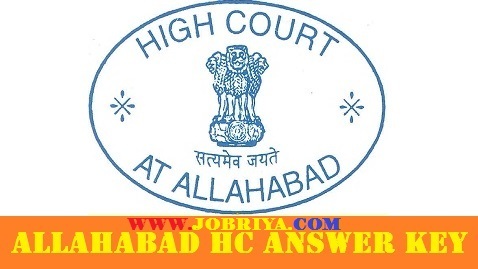 Latest Updated On 14.03.2019 : Allahabad High Court Has Released Group D Stage 2 Answer Key……………Download Your Answer Key Through The Link Given Below…………..
All the Candidates Who Filled there Online Application Form will and Face the Written Exam.The Exam was Objective Type. The Exam was Conducted on the Various Exam Dates which was Started from 20 & 21.01.2019. The Exam was of 180 Marks with 02 Hours Time Duration. There was no negative marking in the Exam. There are many candidates who gave the exam and have the issue with the provided Answer Key. If any candidate who have issue with the answer key then that Candidate need to fill the Objection Form with the Required Information and submit it within the Given dates. The Objection Form releases by the Official Website of Allahabad High Court. Candidates can check the Details of Objection form on Allahabad High Court official website. Are jobriya team bhai isko google docs ya apne website ke server pe upload karo allahabad high court bewkuf hai 2 din me hi link hata diya, please upload allahabad high court group c, b seriea answer key. Plz jisake pass bhi junier assistant set b ka answer key है plz shere kare whatapp……….